Haddonfield Memorial High School celebrated the graduates of the senior class of 2016 on Thursday, June 16 at the HMHS stadium. One hundred and ninety one seniors in caps and gowns took their final steps as high school students and began new steps to their next journey in life. On that day, students, administrators, families and friends were addressed by the class of 2016 valedictorian Austin Stoner and salutatorian Lily Kwak, speaking of memories and giving hope and inspiration to the class of 2016 for the future. The Sun took some time to speak to Stoner and Kwak on graduating, their speeches, their future goals, memories and more. The Sun: How do you feel about graduating? Stoner: I am incredibly proud to have made it through these past four years of high school. For me, it has been a road with a lot of ups and downs, so to finally have made it through all the hardships is a big relief. That being said, I will certainly miss everybody very dearly. I am very reluctant to leave HMHS and all the amazing people I have met along the way. Graduating opens the doors to me to explore the world and find where I belong, but I will never forget this school and my journey here. Kwak: It is difficult to say goodbye to so many friends and teachers who have made a difference in my life. At the same time, though, I am excited for what is to come: to start over, to meet new people, and to enter this huge world. The Sun: How do you feel about being named valedictorian/salutatorian? Stoner: Being named valedictorian has been a dream of mine ever since coming into this school my freshman year. It has been an agonizingly long process for me, and many times I had doubts about if it would even happen or not. To finally have this dream of mine come into fruition is the most satisfying moment of my entire life. To be honest, I came home after hearing the news and cried with my mom. God has blessed me tremendously in the past couple years, and may all the glory of this award go to Him. The Sun: Where are you going to college? What are you majoring in? What is your dream job? 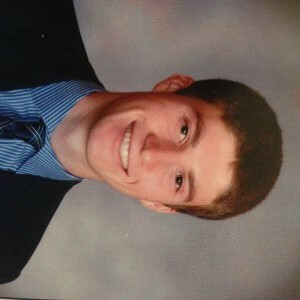 Stoner: I am studying molecular biophysics and biochemistry at Yale University next fall. My dream is to one day either do cancer research or become a doctor. 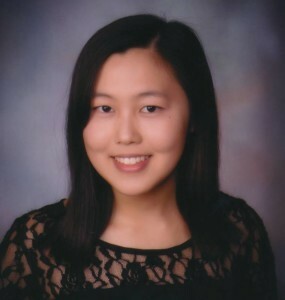 Kwak: I will be attending the Honors College of Rutgers University in the fall. I plan on majoring in cell biology and neuroscience, and I hope to study medicine in the near future. The Sun: Do you have a speech prepared? Can you tell me a little about your speech? Stoner: Unfortunately, I found out that I was valedictorian on a Tuesday and our graduation is two days later. This left me very little time to plan and write my speech, but I was able to lock myself in my house and get all my ideas straightened out. It has some humor in it, but by the end, I really try to hammer home some important things to my fellow classmates. I compare this point of our lives now to the beginning of a cross-country race. As we wait eagerly to graduate and the race to go off, there are often a lot of nerves and uncertainty about what to expect. The key is, we start this race together, and no matter if you get out too fast, too slow or just right, we can all end up where we belong in this world. Kwak: The theme of my speech is that we must open our eyes to the world of possibilities around us. High school is merely one step we take toward making our mark on the world, whether we plan on studying, working, traveling, etc. in the upcoming years. The Sun: What kind of message do you want to leave your fellow graduates with? Stoner: I want to leave my fellow graduates with the message that they truly can achieve whatever it is they set out to do. We all have the opportunity now to take whatever direction we want and go at it full speed, and so all should really take advantage of that. Being lukewarm about things in your life is not the best way to live; rather, find your passion and give everything you can to be incredible at it. Everybody can make the most of the circumstances they have now and do whatever it is they set their minds to. The class of 2016 is comprised of some of the brightest and most amazing kids I know, and I want them to know that if they want something bad enough, they can get it. Kwak: Maya Angelou, one of my greatest role models, stated that “people will forget what you said, people will forget what you did, but people will never forget how you made them feel.” Class of 2016, we learned so much from one another. I always felt that we were a family more so than academic peers. We’ve been through so much together, and I trust that each and every one of us will look back on our high school years as a time when friendships bloomed and identities developed. The Sun: What’s your favorite memory you’ve had being in the Haddonfield Public Schools? Stoner: Selecting one favorite memory for me is very tough. If I were to have to pick, I would say being a part of the student-led a cappella group “Co-Ed.” This year, I was the beat-boxer for this group and got to perform all over the place with an incredibly talented group of people. Doing something like this was completely out of my comfort zone, but by taking a leap of faith and auditioning, I was able to meet a really cool group of people that I love dearly now. The whole experience has really opened my eyes to just how amazing the students at Haddonfield are. We are not simply test scores and athletics here; rather, we excel at the arts, charity and many other areas as well. I have made memories and friendships through Co-Ed that will last a lifetime. Thank you to everyone in that group for letting me get to know all of you and constantly yell “Welcome!” every day. Kwak: I moved to Haddonfield from Ann Arbor, Mich., in the second grade. Since then, I loved every second I spent as a student of Haddonfield Public Schools. The opportunities were limitless, and the teachers showed me what it truly means to be passionate about something. If I had to choose one aspect of my schooling experience, it’d be the musical endeavors I’ve partaken in. I enjoyed singing with the Madrigals and school choirs, as well as performing as a violist in the Select Ensemble. Music continues to play a major role in my life. The Sun: Is there anything else you’d like to add? Stoner: I would just like to thank my family, especially my mom, for the guidance and support my entire life. You have all been by my side and encouraged me through this whole journey, and I would not be here today if it weren’t for you guys. I often take for granted the love and passion you guys show for me, and I am sorry. I want you guys to know that I love you more than words could ever describe, and this recognition is as much yours as it is mine. Kwak: I would like to thank my family, friends and faculty for the support they have shown me. Above all, I thank God for the grace and guidance He’s given me throughout my life. And finally, I’d like to congratulate the class of 2016 — we made it!